Unique to us in the UK. (Floribunda) This Floribunda has a very strong perfume. Its colour is soft pink and coral. The flowers are large, over 4 inches in diameter when fully open and the plant bears attractive foliage. Above average height. Good as a hedge. Small clusters of light pink double blooms with darker reverse. Flowers all summer long. Healthy. Bred by Fryers. Rose of the year 2009. A compact floribunda, continuously decorated with large clusters of sweetly scented, pale lilac/pink, semi double blooms. Foliage mid green and healthy. A charming rose for bedding or in a pot. Lovely creamy buds opening to cream and pink very double flowers, with darker centres. Long flowering season. Very healthy. Bred by Kordes. 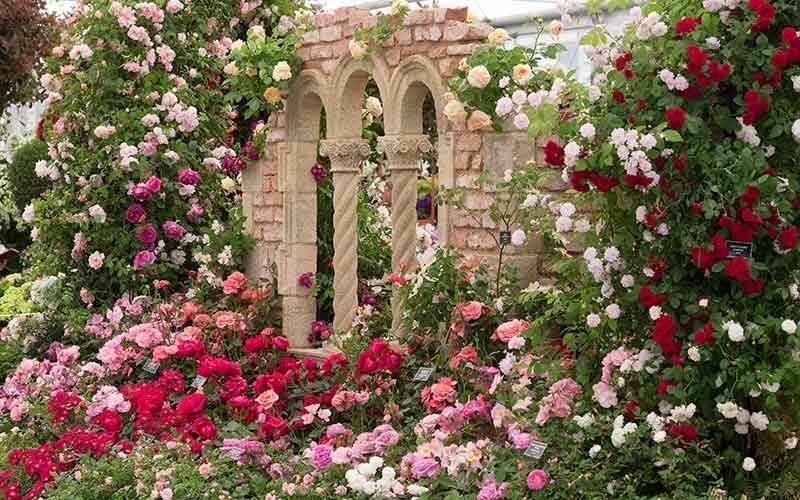 (Floribunda) An unsual pure pink, very double and almost old-fashioned. Healthy. (Floribunda) A tall clear pink, healthy and very reliable, makes an excellent hedge. ‘Earth Angel’ ‘Herzogin Christiana’. Charming globular, cupped blooms of palest pink with a very strong fruity and rose scent. Long flowering season and bushy growth. Best in warmer parts of the garden. Bred by Kordes. (Floribunda) An outstanding rose. Very free flowering. Fully double pink to soft salmon. Good healthy foliage. Bushy, tidy growth. This delightful rose bears large flowers that open loosley to reveal beautiful lilac anthers. An interesting perfume and ideal rose for cutting. Bred by Delbard.